The South Bend Cubs Internships are full-time commitments, working weekdays and some weekends. Most internship positions will start between January and March and last until the end of the season. 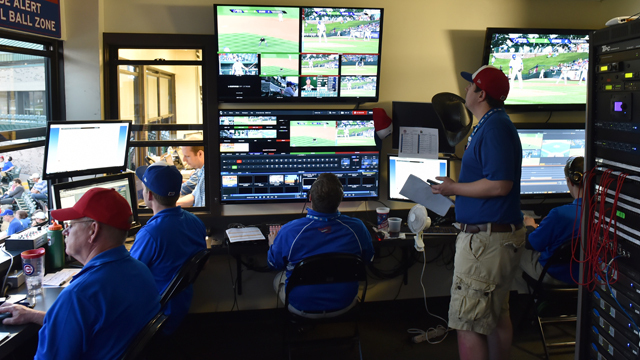 The purpose of the South Bend Cubs Internship program is to allow students the opportunity to gain a better understanding of the operations of a professional sports organization and selecting an appropriate career. The South Bend Cubs strive to utilize all interns to their fullest capabilities based on experience, education, aspirations, work ethic and choice of area they desire. For more details on specific internships, click the links below. • Internship salaries are dependent upon experience. • The South Bend Cubs do not offer any housing. All interns hired will be responsible for finding their own housing in the South Bend area. • Non-game day office hours will be from 9:00 AM until 5:00 PM, Monday through Friday, with the possibility of evenings or weekends for South Bend Cubs Player or Mascot Appearances, or the promotion of the South Bend Cubs at outside events. • On event days, most of which will be games, hours expected will be from 9:00 AM until approximately one hour after the event, sometimes as late, or later than 11:00 PM. • The South Bend Cubs will also implement a weekly schedule of events for interns to plan their schedules accordingly. • In addition, all interns will be required to assist with the distribution of the South Bend Cubs Pocket Schedules to all areas of Michiana and surrounding communities within a 50-mile radius of the ballpark. • Also, interns will assist with the Boy Scout and Girl Scout Overnight events that the South Bend Cubs hold each year. • Interns must be available to work full-time, which includes nights, weekends and some holidays during the summer. Exceptions will be made to those students attending local colleges who are still taking classes during the 2018 Spring Semester. This excludeds Game Day only interns.